All door types can be supplied in either a single or double leaf configurations along with a wide choice of options including matching side lights, decorative features and hardware. 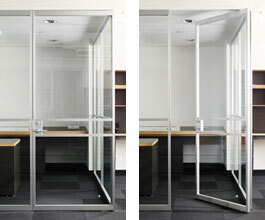 Select configurations allow fly and barrier screening. 7 year peace of mind guarantee on hinged and pivot doors. Guarantee of consistent quality and workmanship. With a selection of framed, semi-frameless or frameless types along with a choice of hardware, the unique style of a pivot entry door will add that special touch to any entries. Pivot doors are generally custom made to suit your individual requirements. For further information relating to any door, please contact our office to discuss your specific requirements. 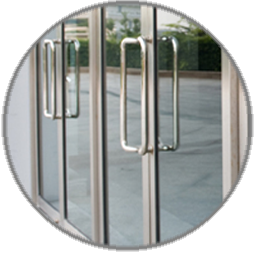 Long Island Door Repair specializes on all commercial and industrial doors and gates. It is always worth your time and money to ask us to come out and give you a professional estimate.